ROOKIE MUSIAL!!! Stan Musial was an American professional baseball player and Navy veteran of World War II. He was a Major League Baseball outfielder and first baseman on the St. Louis Cardinals for 22 seasons, 1941 through 1963. Nicknamed "Stan the Man", Musial holds the All-Star record for the most All-Star Games played (24, tied with Hank Aaron & Willie Mays) and is widely considered to be one of the greatest hitters in baseball history. He compiled 3,630 hits (ranking fourth all-time and most in a career spent with only one team). With 1,815 hits at home and 1,815 on the road, he also is considered to be the most consistent hitter of his era. He also compiled 475 home runs during his career, was named the National League's (NL) Most Valuable Player (MVP) three times, and won three World Series championship titles. Musial was a first-ballot inductee to the Baseball Hall of Fame in 1969. 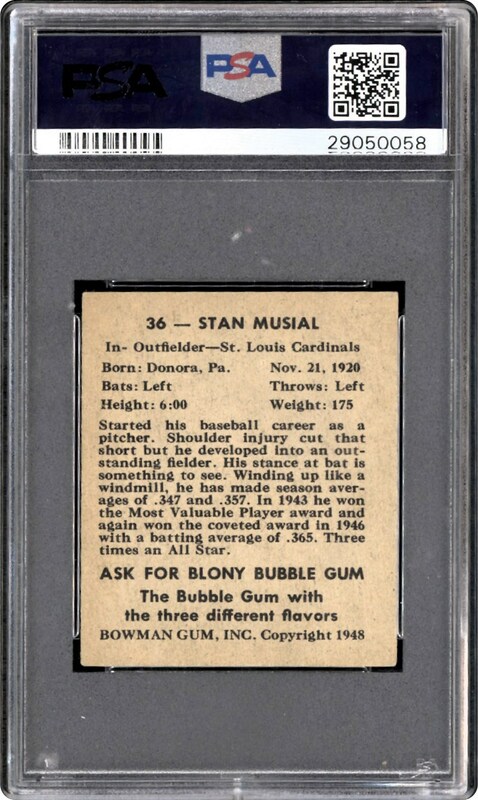 This 1948 Bowman card is the most frequently handled by PSA. 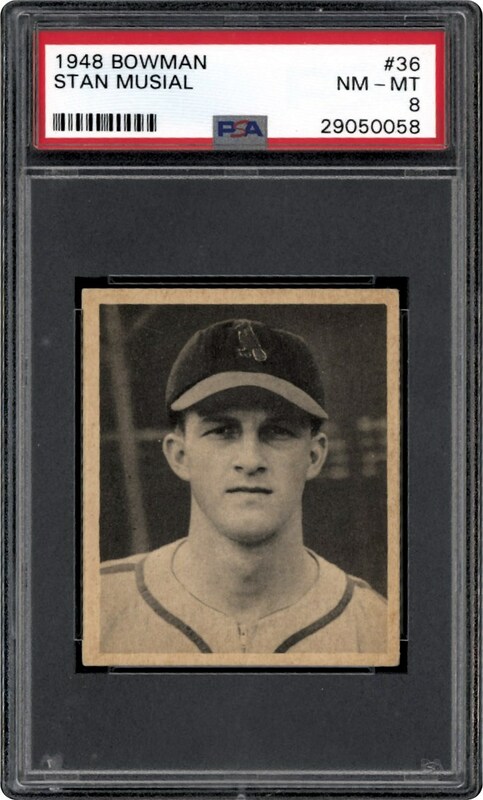 This Musial Rookie has earned a NM-MT 8 designation and is one to own for the hignend collector.